We offer postcard style invitations, as well as flat card invitations with envelopes. 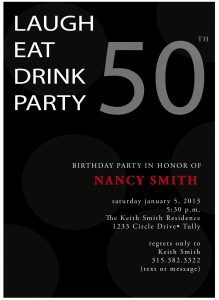 Standard invitations are 4.25X5.5 or 5X7. We offer these blank envelopes or we can print addresses on envelopes for you! **Set up fees not included. Standard set up is $15. Lower printing costs per card may apply in quantities over 250. Email us at bearpawprinting@cnymail.com to get a price quote for your quantity. Bear Paw Printing was established by Peter and Colleen Hilts in 1997. Peter has been in the printing business for over 40 years. 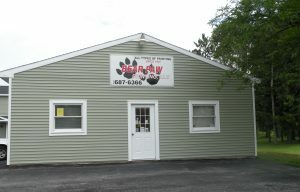 As a family owned business, Bear Paw Printing strives to produce the best quality product and good customer service. Our Web site shows a variety of products that we provide our customers. We do many custom print jobs. Be sure to contact us by phone or email to find out what we can do for you. We want to make sure you get the service you need. We work with you start to finish! We accept credit card payments and Paypal. However, we reserve the right to only accept these payments if your bill is over $20. If your bill is under $20 we accept CASH, CHECK. Thank you for your understanding at the high cost of processing these payments. Our preferred file format is .pdf for file printing. If you don't know if you have the capability, there are several FREE online sources that you can visit to convert your files to .pdf for print submissions. These two sites below convert Microsoft files to .pdf.